Starting on 13 April 2015, airberlin will fly from Berlin to Prague and Billund, thereby adding two new destinations to its route network. The number of flights between Berlin and Graz, Warsaw and Gdansk will also be increased. 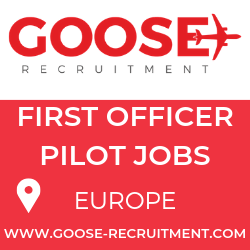 “We’re pleased to be introducing two new destinations in the key Scandinavian and Eastern European regions to our European route network. We’re extremely satisfied with the performance of our services between Berlin and Warsaw, Gdansk and Graz, and are increasing the number of flights in line with demand. This will mean even more connection options and shorter transfer times for our passengers,” explains Götz Ahmelmann, Chief Commercial Officer at airberlin. airberlin will operate three flights a day to Prague from Monday to Friday, making a total of 20 flights per week including five weekend services. 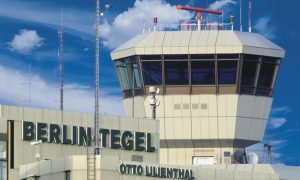 The flights have been well incorporated into the Berlin-Tegel hub, from where airberlin’s global route network offers numerous connecting flights, including flights to Abu Dhabi, Chicago and Moscow, as well as to Stockholm, Copenhagen, Gothenburg, Helsinki and Reykjavik. From 13 April 2015, airberlin will operate a daily service from Berlin to Billund. Also incorporated into the route network, this service will offer travellers numerous connection options to and from Germany, Austria and Switzerland, as well as many other European cities, such as Palma de Mallorca, Budapest, Warsaw, Krakow and Gdansk. airberlin is expanding its services between Berlin and Warsaw – which it currently operates three times a day – to 25 flights per week with the addition of six more flights, thereby further consolidating its position as the market leader on this route. On weekdays from 13 April onwards, the airline will operate four daily services between the German and Polish capitals. There will also be more flights to Gdansk from Berlin from 13 April. 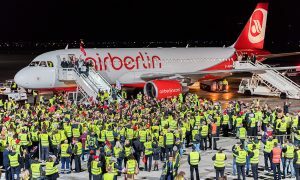 Instead of the current two daily flights, airberlin will operate three flights a day from Monday to Friday, and five at the weekend, thereby increasing the total number of flights from twelve to 20 per week. 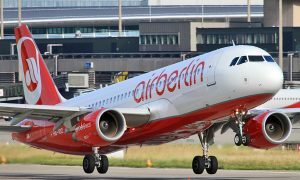 Also from 13 April, airberlin will offer five additional weekday services, with two flights a day from Berlin to Graz, thereby improving its offerings for business travellers in particular and making better connections such as to Abu Dhabi, Warsaw, Kaliningrad and a new connection to Billund available.